From cancer-sniffing dogs to a lawsuit involving an erroneously removed prostate, here’s what’s making headlines in the cancer space this week. Rickie Huitt, 65, was awarded $12.25 million after an Iowa jury voted that his prostate was removed unnecessarily when a local medical center gave him an incorrect diagnosis. WHO-TV reported that an Iowa Clinic was ordered to pay Huitt after an anatomical laboratory director mixed his samples with those of someone who tested positive for prostate cancer. His doctor, Joy Trueblood, informed the prosecutors that she mixed up the files of two patients in 2017, erroneously informing Huitt that he had the disease. As a result, Huitt needlessly underwent surgery to have his prostate gland removed, suffered nerve damage and was left impotent. “For him, he’s lost his manhood,” Huitt’s lawyer told the jury. A new study claims that dogs can sniff out lung cancer with nearly 97% accuracy. The research conducted by Florida pharmaceutical lab BioScentDx was presented on Monday at the annual meeting of the American Society for Biochemistry and Molecular Biology in Orlando. Researchers studied how four 2-year-old beagles were able to differentiate between human blood samples with and without lung cancer. Three of the four beagles were able to identify blood samples with lung cancer with 96.7% accuracy and correctly identified cancer-free blood samples 97.5% of the time. 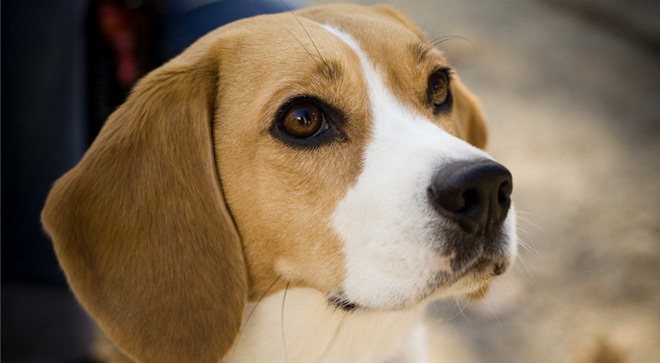 Beagles smell receptors, according to the statement, are 10,000 times more accurate than humans’. “This work is very exciting because it paves the way for further research along two paths, both of which could lead to new cancer-detection tools,” said Heather Junqueira, who is lead researcher at BioScentDx and performed the study. Phoenix Children’s Hospital announced Wednesday it is receiving a $1.5 million grant to fund pediatric brain cancer research. The grant was approved by Gateway for Cancer Research, a nonprofit organization dedicated to funding cancer research, according to a press release. It will help physician scientists at the children’s hospital to fight diffuse intrinsic pontine glioma (DIPG), one of the most aggressive tumor types in children. “By investing in novel patient-centric approaches, combined with the increasing rate of treatment advances, we will help courageous patients where there is an unmet need, conquer cancer and save more lives,” Michael Burton, president of Gateway for Cancer Research, said in the release. 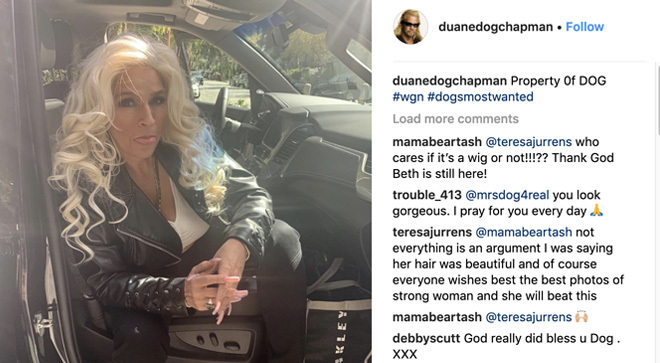 Beth Chapman, 51, wife of Duane “Dog the Bounty Hunter” Chapman and star of “Dog’s Most Wanted,” was rushed to the hospital in Hawaii on Saturday with breathing complications from cancer. The reality star announced her stage 2 throat cancer diagnosis in September 2017 and doctors found the disease had spread to her lungs during emergency surgery in November 2018. Chapman began chemotherapy treatments in December. After two Miami firefighters lost their battles with cancer, their loved ones are fighting for lawmakers to pass a bill that would give Florida firefighters long-term cancer care coverage, NBC 6 reported. “Cancer is actually the leading cause of death among firefighters,” Carmen Ordoñez said in an interview with the TV station. Her husband, Fernando Ordoñez, died of stomach cancer at 34 years old. Fellow Miami firefighter Ralf Garcia, 28, passed away from brain cancer the same year. Since their deaths, the city has put safety measures in place to decrease the risk of cancer for firefighters. Carmen Ordoñez and others who have lost their loved ones are hoping lawmakers will pass House Bill 857, which would grant benefits to firefighters upon receiving a cancer diagnosis, including disability payments and death benefits. Compared with the general population, firefighters in the United States are prone to higher rates of certain cancer types, a Centers for Disease Control and Prevention study found.